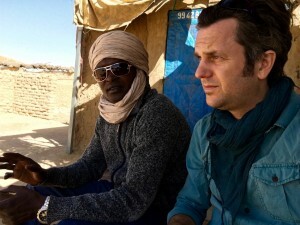 In 2004 Phil Cox and Daoud Hari were the first video journalists to cover the bitter Darfur conflict that drew the attention of the worlds media and was labelled a genocide. But more than a decade later, Darfur had become a media ‘black hole’, with years having passed without any independent journalist being granted access. 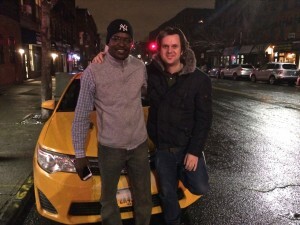 So in 2016 Phil decided to track down his old desert friend Daoud to New York City where Daoud had found asylum and was driving a Yellow Cab. With international sanctions against Sudan about to be lifted and recent allegations of chemical weapons attacks against civilians by the government, both Phil and Daoud decided to go back into Darfur to investigate human rights abuses. 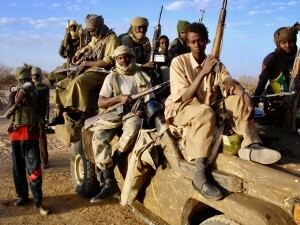 After crossing covertly from Chad and moving with small rebel groups, the team discovered that the Sudanese government was offering a bounty of $250,000USD for their capture. They evaded persuing forces for weeks,but Daoud and Phil were eventually kidnapped and held by militias. Despite being held in captive and in chains, the team managed to surreptitiously film their kidnap ordeal and hide the footage on them before being sold onto the Sudanese Government. Daoud and Phil then endured 40 days brutal imprisonment and torture in cage cells in Khartoum. Both filmmakers devised ways to survive captivity and the interrogations and after concerted efforts by the UK and US governments, they were released in early 2017. 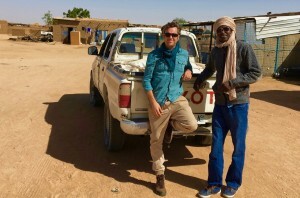 The resulting story tells of an attempt by two driven journalists, one English and one Sudanese, to report in today’s Darfur. Their journey reveals their friendship and commitment to continue filming in the face of great adversity and risk. Through innovative animations and testimonies, this documentary offers an insight into a hidden Sudan where the government hunts independent voices and uses systematic torture and imprisonment of journalists as well as many of its own citizens. It is the first independent report out of Darfur for many years.